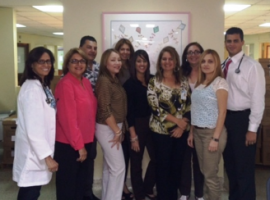 The San Juan Hospital Research Unit‘s grassroots are the Pediatric Hematology/Oncology Section when, in 1987, under the leadership of Dr. Eleanor Jiménez, out-patient treatment and follow up began to be offered to HIV infected pregnant women and children. In 1988, patients began to participate in pediatric AIDS research clinical studies (PACTG). 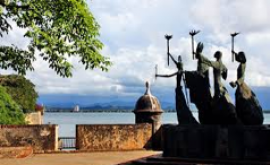 These clinical studies have allowed the provision of medical care and treatment to the infant, children, teenagers, and reproductive age women populations affected/infected by the HIV pandemic in Puerto Rico. In addition, effective treatment in the prevention of mother to infant transmission has been achieved. Without these experienced research groups, studies in these populations would have been very limited as well as discoveries, which have resulted in a better quality of life in our patients. 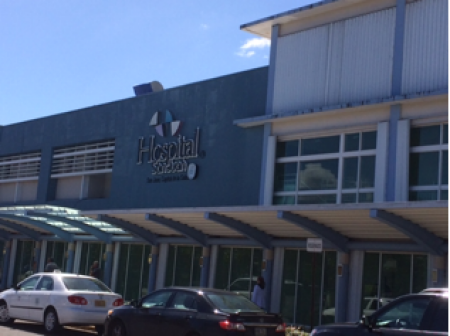 The SJH Research Unit is strategically located at the Puerto Rico Medical Center, San Juan City Hospital. The Research Unit is walking distance from the University of Puerto Rico, Medicine and Dental School, the metro train station, and other public transportation services. The clinic offers its clinical research services under strict confidentiality, in an atmosphere of confidence for the population living with HIV and for those affected by HIV. Midnela Acevedo, MD is Principal Investigator and Director of the Research Unit since 2007, with over 20 years’ experience in the field of clinical research, mainly HIV. As pediatrician, she is well-respected and loved by those parents and children as well participating in our clinic because of her great commitment with the population of people living with HIV. Nicolás Rosario, MD, MSc, is a pediatrician and co-investigator at our Research Unit. He joined our team work in 2011 and in a short time, has become loved by all patients and their families. Wanda Marrero, RN, BSN, is the research nurse for all our studies’ participants. She is the one who lovingly welcomes our patients every day. She is in charge of taking vital signs, blood samples, and preparing documentation at each PHACS protocol visit. Lourdes Angeli, BSN, MPH, is the coordinator for SMARTT study. She is in charge of updating regulatory documentation for the protocol, study questionnaire administration, enrolling study participants, and maintaining study data quality control. Heida Ríos, BS, MS, is the coordinator for the AMP study and sub-studies. She is in charge of keeping up to date protocol regulatory documentation, study questionnaire administration, enrolling study participants, and maintaining study data quality control. Sharon Latorre, BS, is the Unit’s data manager for all clinical research. She is also in charge of solving database inquiries. Carlos Ortega, BA, is the Unit’s community outreach coordinator and CAB Liaison. He offers emotional support to the families participating in our research, and assists them in acquiring the various necessary services for the best benefit of our patients. Dalila Guzmán, RPh, is our site’s pharmacist for all treatment protocols. She collaborates in the Unit’s study visits' quality control. Lizbeth M. Fábregas, BS, MS, is the backup coordinator for the SMARTT and AMP protocols. She is in charge of coordinating the PHACS focus group study. She also collaborates in CAB meetings by presenting preliminary results of studies published on the website to the members. Elvia Pérez, BS, MEd, MA, MPH, is the perinatal and OB/Gyn coordinator. She collaborates with the daily quality control of the study visits for AMP and SMARTT studies. Vivian Olivera, PhD, is the psychologist for PHACS studies and offers tests for SMARTT and AMP. Seventy-five (75) percent of our Community Advisory Board is composed of HIV patient participants of our research studies and 25% by members of the community. This group is strongly interested in clinical studies, as well as in the wellbeing of our research study participants. This group discusses all research studies being conducted at our unit. CAB members offer voluntary work and educational and wellness activities for research study participants. What are some words you'd use to to describe your staff? We are responsible, loving, sensitive, affective, dedicated, and good listeners. Be prepared beforehand! Participants' time is valuable; therefore all study–related activities should be prepared beforehand to reduce waiting time at the clinic. Every additional service such as DXA scans, audiology, and others are coordinated ahead of time. Every family is welcomed in a harmonious, considerate, and sensitive atmosphere. Puerto Ricans are known for being kind, caring, and friendly. Upon arrival at the clinic, families feel at home; they are able talk about their achievements, concerns, or simply about everyday situations. We have two waiting areas; in the first one, we have a variety of educational booklets, and in the other we have a TV/DVD set, coloring books for kids, and magazines for parents/guardians. In October 2013, we had 95-100 visitors from IMPAACT Americas RCAB. One of them expressed that our site needed a “bit more color.” Presently, we are in the process of obtaining funds to “refresh” our clinic.